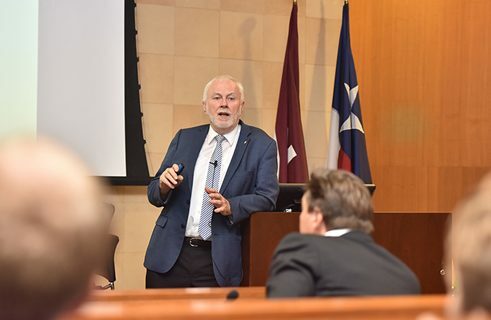 “Inspire and be inspired by Mathematics” –with this goal in mind the Arab-German Young Academy of Sciences and Humanities (AGYA) convened a podium discussion on 26 November 2017, together with the Texas A&M University, Qatar: “Mathematics and Internationalization: Innovative Approaches in Research and Education”. 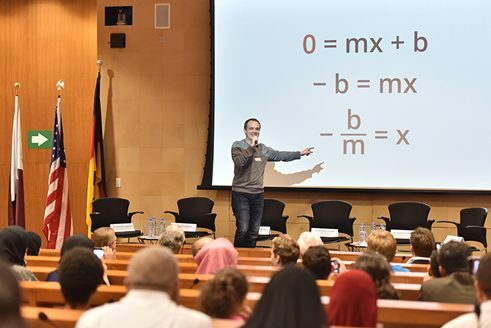 The event formed part of the 2017 Qatar German Season and made for a festive conclusion to the second “AGYA Math Olympiad Camp” at the Texas A&M University at Qatar. The honorary guest at the event was Professor Martin Grötschel, holder of both full and honorary chairs, and President of the Berlin-Brandenburgische Akademie der Wissenschaften (BBAW), a leading academy for sciences. In his keynote address he described mathematics as the driving force behind human development. 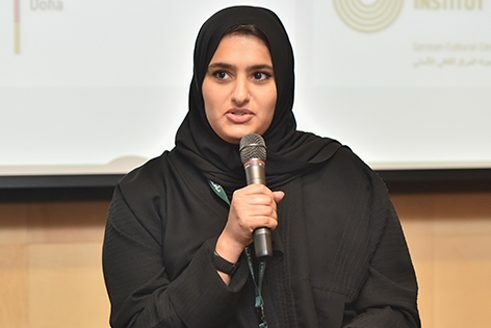 His examples ranged from the computer supported optimisation of telecommunications networks to the optimisation of medical processes in cancer treatment. 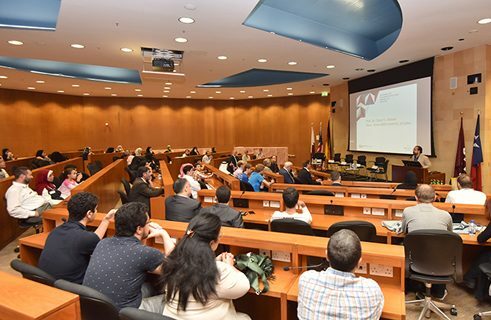 As part of the panel discussion which followed on the topic of “Mathematics and Internationalization: Innovative Approaches in Research and Education”, high-level experts from Qatar and Germany discussed mathematics as the basis of everyday life, as well as its future as a means of international exchange. At the heart of this is the shared goal of making mathematics more accessible and more attractive. The link between music and mathematics was demonstrated by YouTube star and mathematics PhD student, Johann Beurich. As “DorFuchs” he sings and raps about mathematical questions and formulae, bringing inspiration to his audience of academics, teachers, school students and their parents. 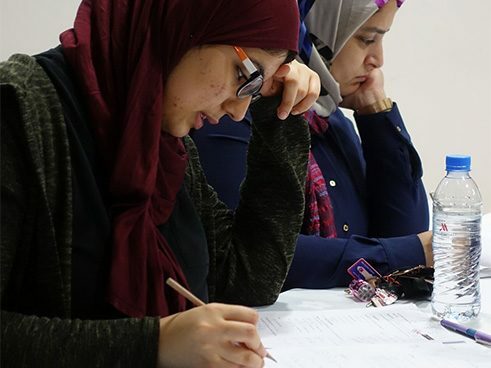 At the second “AGYA Math Olympiad Camp” around 50 school students (boys and girls), and talented young mathematicians spent three days with Qatari and German trainers learning and applying new problem-solving techniques and mathematical concepts.